There doesn’t appear to be any restrictions on the .edu.bi domain – typically we’d expect only education providers based in Burundi to qualify to use it. Wikipedia suggests a ‘liberal policy about domain names’. Copying information from a number of UK universities and a campus building picture from a French Business School (above), it offers an online verification service for its certificates. The entire site is a sham designed to support its ‘graduates’ and fool the employers they apply to. A quick look at LinkedIn Bransfield University alumni shows them working all over the globe with their Bachelors, MBAs and PhDs. Current Bransfield student working in Import and Export, Turkmenistan. Posted on July 27, 2015 Author Jayne RowleyCategories Naming and Shaming, Six Degrees of FabricationTags bogus institution, bogus university1 Comment on Burundi! As you know, we are carrying out work for the Government investigating bogus universities and adding them to the university look-up service on HEDD. It’s critical to be very clear about individual providers claiming to be UK universities. We CAN say definitively whether institutions are or have ever been recognised degree-awarding bodies in the UK. The only way an individual can hold a recognised UK degree is from one of those bodies – either directly, or from a Listed Body whose degrees are validated by one of the Recognised Bodies. This is unequivocal. The list of current providers can be found on the Gov.uk website here. The university look-up service on HEDD also carries historical information to cover name changes, mergers, old universities and directs you to the current institution where records are kept for you to make an enquiry. Since the Government announcement last month we have had lots of requests for a bogus universities list. BIS is keen to name and shame the culprits so we are working on it with a view to publishing shortly. We are also liaising with the appropriate enforcement agencies to shut down the websites and prosecute the perpetrators if possible. We will ‘out’ them here on the blog. It’s important to distinguish between the completely bogus providers and those running private or alternative universities and colleges which are perfectly legitimate places of study, but whose degrees are not recognised UK degrees. If they claim to award UK degrees, we will advise them to remove the misleading information from their websites. If they don’t remove it, we will highlight them on HEDD as not being degree-awarding bodies. Today’s dish of the day is Warnswick University. Actually this isn’t new. it’s a reincarnation of our old friend Wolverhamton University – now defunct, thanks to us. So how do we know it’s the same bad guys? It has the same stolen information from the genuine University of Wolverhampton website and a service to verify its fake certificates – which, of course is its main purpose. A new header and a few new stock pictures can’t disguise it. Plus they have missed one of the references to Wolverhamton on the site*. The site is owned by someone called Smart Boy in Uruguay, using a fictitious address and a gmail account. We won’t be able to trace it as it’s outside the UK, but we can at least make his deceit public. *Now I could say where it is, but then they will amend it. Plus it might entertain you to look for it. There’s a Twix for the first reader to spot it. It is heartening to see the courts toughening up on fraudsters presenting themselves with fake credentials. In two recent cases the judge has handed out jail sentences. Remember our barrister friend Dennis O’Riordon? His looks like a lucky escape now after passing himself off as an Oxford Scholar and Harvard graduate. Although disqualified from the Bar, he escaped prosecution. Not so for bogus barrister Monika Juneja (pictured above). She received a 14 month (suspended) sentence and 200 hour community service order at the Old Bailey. Starting with a forged degree certificate in 2000 and forging other letters and credentials, she became a local government lawyer with several councils and rose to be the lead member for planning at Guildford Borough Council. She was only found out when constituents began looking into her background after raising a number of complaints about her work identifying areas of land for development, not by her employers. 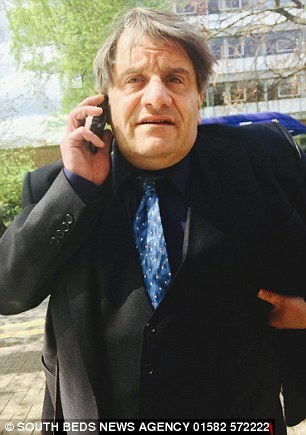 Josef Hoffman – (real name Joseph Valadakis) was jailed for four years after tricking people out of hundreds of thousands of pounds after posing as a doctor with a degree from the University of Cambridge and claiming to have led a research team at University College Hospital in London. He also claimed to have treated the Queen, Lord Sugar, Robbie Williams and went as far as to tell one ‘patient’ they had cancer. Even in court he persisted with his lies saying that he couldn’t discuss his treatments as he was bound by the Official Secrets Act. The judge didn’t hesitate to put him behind bars for fraud. We’ve had the frustrating situation of re-looking at the American University of London over the past couple of weeks after another complaint about them to the government. We are still not being able to pursue them through Trading Standards nor through the National Fraud Intelligence Bureau as a bogus university, on a technicality. They are very careful how they word their websites, how they register themselves in the UK (avoiding the word ‘university’ and using the acronym AUOL Online Ltd) and maintaining only a mailing address in London in the name of their licensee. American University of London Inc is registered in the West Indies, where UK laws can’t touch them. However, tuition fees are paid into a UK bank in Beaconsfield, home to the university President Michael Nimier and Registrar Sonia Grimes. Although it now offers a mobile number and 0800 number for contact on the main website, one of their old domains for the website http://www.americanuniversity.com still carries the Beaconsfield phone number they were using. It seems all we can do is keep highlighting the fact that they are NOTHING TO DO WITH the University of London, who hold the trademarks to that name. They DO NOT have the power to award recognised UK degrees and DO give out MBAs for money to any man and his dog – literally. Let’s hope any innocent would-be students see this post on their Google results ahead of parting with £50 to apply for a course, or four figure sums for an unrecognised degree. For the fraudsters happy to buy degrees, let’s hope employers see this post or check your ‘qualifications’ on HEDD before offering you that job. Failing that we’ll set Pete on them. We’ve talked before about fake certificate sites selling fake degrees for as little as £30, but we’ve discovered an even cheaper way on eBay. Sellers are offering certificates for just £6.95 including free postage. You can even get Nectar points. The sellers have hundreds of transactions recorded and 5* feedback ratings praising the quality of the product, speed of service and so on. They think they can get away with it by stating that these are novelty items and not for fraudulent use. Some are pretty obvious with scrolls, gothic lettering and highly decorated borders, but others stay very close to the style of genuine certificates, as you can see from the image above. However by using the names of genuine education providers like Cambridge University and City and Guilds, sellers are breaching the providers’ copyright and trademarks and can be prosecuted. For a few extra pounds you can order a hologram to add that extra touch of authenticity. Personally I don’t have a lot of confidence in the Proffeser of Diplomas (sic). I’d be worried that my Bachelor of Arts might just turn out to be Batchelors. Posted on July 3, 2015 July 3, 2015 Author Jayne RowleyCategories Six Degrees of FabricationTags degree certificates, fake certificate2 Comments on Sold!